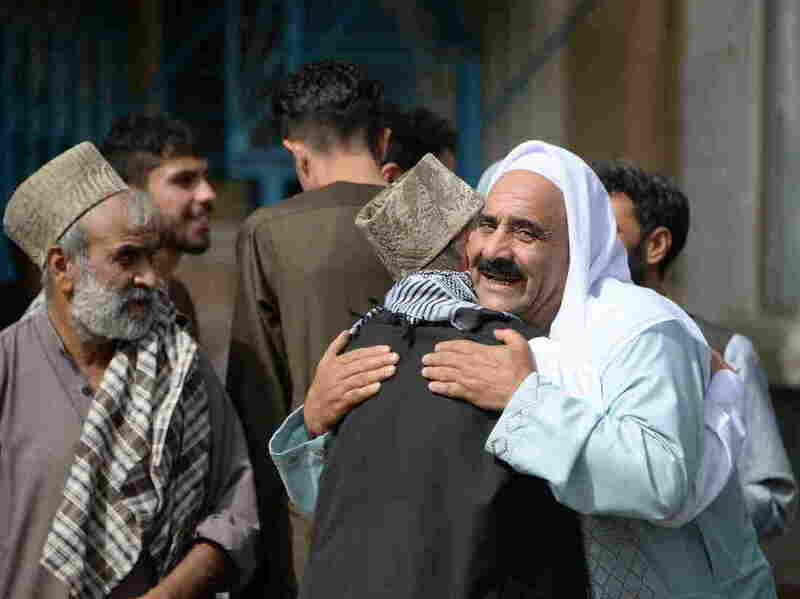 Afghan President Extends Ceasefire, Despite Suicide Bombing The attack, claimed by ISIS, disrupted a historic moment when national security forces were celebrating a temporary truce between the Taliban and national security forces. Afghan Muslims celebrated the start of the Eid al-Fitr holiday on Friday. An attack on Saturday disturbed the peace, leaving dozens of casualties. Afghan President Ashraf Ghani announced on Saturday that his government's ceasefire with the Taliban will be extended another day, even as a suicide bombing killed and injured dozens. It was a historic truce. The Afghan government declared the ceasefire in honor of Eid al-Fitr, which marks the end of Ramadan. The Taliban announced its own three-day ceasefire – the first one since the United States invaded Afghanistan in 2001, according to media reports. In place of fighting were scenes of Afghan and Taliban forces praying together, hugging and taking selfies. A member of the Taliban posed in a picture with a female official. "I am beside myself," one person posted on Twitter. "What an [incredible] magical moment in Afghanistan this #Eid. A Talib hands members of the #ANSDF (Afghan forces) red roses." The explosion occurred in the eastern province of Nangarhar around 5:15 p.m. local time, according to CNN. Civilians, security forces and members of the Taliban were reportedly among the casualties. Afghan volunteers bring a man injured in the bombing on Saturday to a hospital. 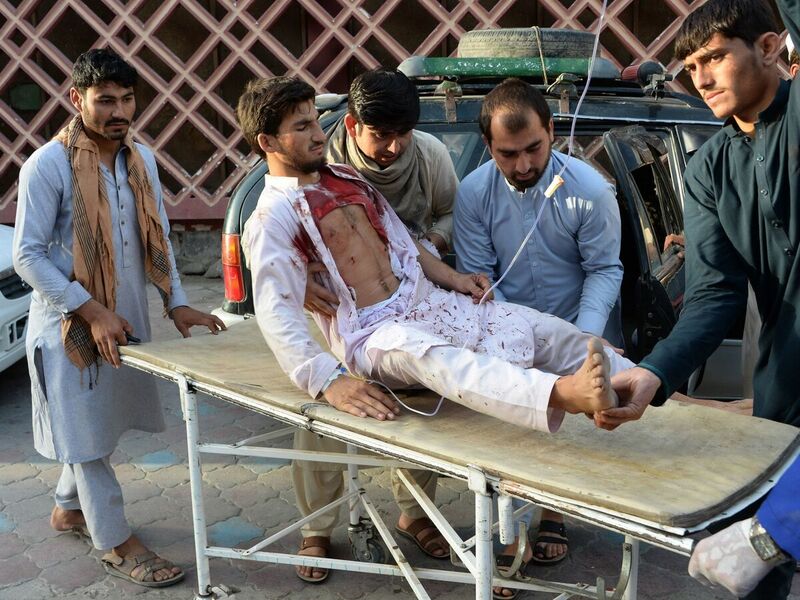 ISIS claimed responsibility for the attack, targeting "a gathering of Afghan forces." At least 26 people were killed, according to Reuters. It is unclear when Ghani learned about the bombing. He told citizens in a televised address that he ordered security forces to extend the ceasefire. "To respect the public's wishes and to support their demands about peace, I am ordering the security and defense forces to extend the ceasefire from the fourth day of Eid," he tweeted. He also asked the Taliban to extend its ceasefire, saying that his government will provide medical and humanitarian aid to wounded members of the Taliban. He said 46 Taliban prisoners had been released, according to Tolo news service, and that prisoners will be "allowed to contact and see their families." Western leaders embraced his announcement to prolong the ceasefire. In a written statement, U.S. Secretary of State Mike Pompeo said, "The United States stands ready to work with the Afghan government, the Taliban, and all the people of Afghanistan to reach a peace agreement and political settlement that brings a permanent end to this war." He also said that peace talks needed "a discussion of the role of international actors and forces." NATO Secretary-General Jens Stoltenberg said, "This is a unique opportunity for the Taliban to show they want the peaceful future that the Afghan people demand and deserve." The Taliban's council plans to meet on Sunday to discuss President Ghani's offer, The Guardian reported. A senior council member said the ceasefire could be extended if a date was established for U.S. forces to withdraw from Afghanistan.